IN 2015, I took Janet Perry’s cyber class about learning to create your own stitch guide. I submitted a picture of a design which she chose for one of the class discussions. 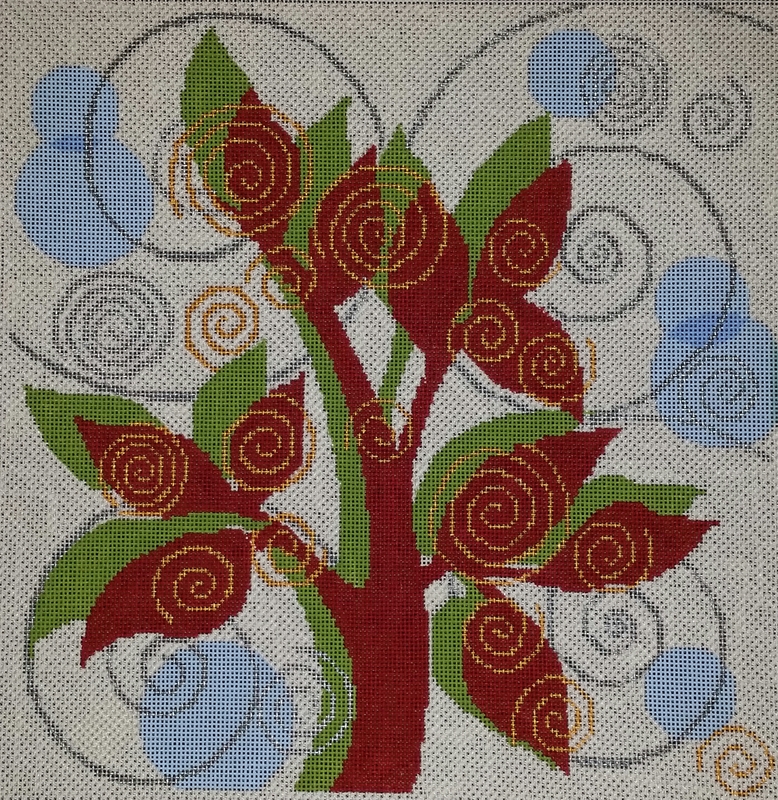 It’s Swirling Leaves (DH3825) an Elements canvas by Dream House Ventures Inc.
She suggested stitching the background first so that the focal points are on top of the rest of the stitching. However, she suggested an open Tent Stitch pattern. I didn’t realize until now that I didn’t do it correctly. It isn’t open. No wonder it took so long to stitch. Now, I will just have to stitch Alternating Continental to get the non-directional pattern that she intended. I won’t rip all that out – it just won’t be open. I’m using Elegance. Good thing I bought enough! Near the bottom left corner inside the swirl you can see where I started going the other direction.